Arseh Sevom — Mohammad Reza Sardari and Tori Egherman. In the most “engineered” of election campaigns since the inception of the Islamic Republic, candidates are surprised to find themselves censored. The Revolutionary Guards reorganizes to face the challenge posed by elections, warning that Ahmadinejad supporters could be the source of unrest in the upcoming elections. “Vision” meetings are held to “guide” voters to the correct candidate. Prisoners of conscience are called back to prison from furlough. This is how an “ultra-democracy” handles election campaigning. Prior to the start of the campaign, the Iran Revolutionary Guard Corps (IRGC) had begun what is now termed “election engineering” in Iran. They began planning to manage the campaigns in such a way as to avoid the possibility of dissent and demonstrations. In keeping with their plans, there have been a number of internal changes. Kalameh [fa] reports that Hamid Reza Moghadamfar, the deputy director of the social and cultural division of the IRGC, has returned to Fars News as director. Together with Fars News, the IRGC is reportedly working on two projects: the “soft war” (cultural war) and the culture of NATO. Reza Seraj has been re-appointed head of the student Basij after serving as an interrogator since the previous elections. He has also served as the director of the Strategic Studies Center of the IRGC and has been responsible for intelligence. General Moshvegh, another interrogator and interrogation strategist, has become the head of psychological warfare for the IRGC. When the two prominent politicians Hashemi Rafsanjani and Rahim Mashaei were denied permission to run for president by the Guardian Council the political map in Iran was redrawn. Eight candidates remain, all of whom are said to be loyal to Iran’s Supreme Leader. Two of them, Mohammad Reza Aref and Hassan Rowhani, are reformists. The IRGC worried that after the rejection of Mashaie and Rafsanjani, unrest would follow. There were reports from Tehran that security forces were being deployed in certain neighborhood including Rafsanjani’s neighborhood. Internet users report reduced [fa] access and sms services were also cut. Ahmadinejad Supporters or Future Seditionists? Radio Farda [fa] reports that Rasoul Sanei-Rad, head of the political office of the Rev Guards, warned of the sort of unrest that occurred in Russia after Putin’s election. He named Ahmadinejad and his supporters as possible instigators. The Young Reformists campaign, launched in support of Rafsanjani, was closed. In addition, reports indicate that the number of political prisoners who had been granted furlough have been recalled to prison, including Bahare Hedayat and Shiva Nezar Ahari. Mohsen Rohami [fa], head of the reformist campaign for city council elections told Bahar newspaper that most reformist candidates had been rejected as candidates for city council. The pro-Ahmadinejad Iran Network reported that a group of Ahamdinejad supporters was arrested. Security forces denied [fa] the arrests. 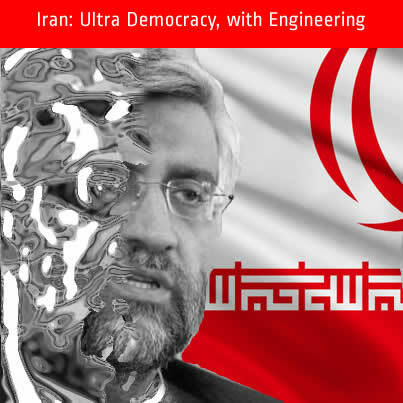 For his part, Jalili has stated that while democracy exists in most countries, Iran has an ultra democracy [fa]. Some campaigners supporting the disqualified candidate Rahim Mashaei have found a place in the Jalili campaign and there have been a number of speculations that Mahmoud Ahmadinejad will also put his support behind Jalili. Iran Pulse has a summary in English. 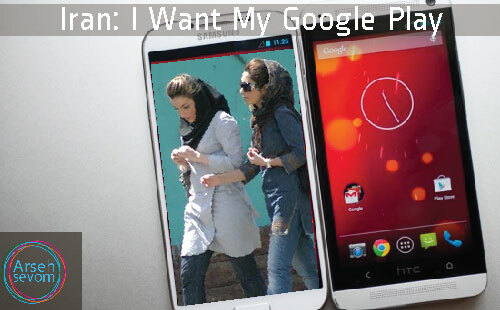 Islamic Republic newspaper reported that there have been “vision” meetings in a number of cities throughout Iran, including Semnan. The meetings are primarily held in mosques and are meant to guide people towards voting for the government approved candidate. This campaign is one of the most muted in the history of the Islamic Republic. With the disqualification of Rahim Mashaei and Akbar Hashemi Rafsanjani, the crisis in civil society deepened. Some reformists have put their support behind the cleric Hassan Rowhani. Others are discussing the merits of voting at all. Some report a distinct lack of interest in the presidential campaign. The muted campaign has also resulted in muted candidates. For the first time, candidates have found themselves on the receiving end of state censorship. Three of them, Hassan Rowhnai, Mohsen Rezaie, and Mohammad Reza Aref were cut off during television appearances. The recent debates, which Arseh Sevom will cover later this week, were filled with calls for economic justice. For a preview, read Scott Peterson’s piece in The Christian Science Monitor. After a vigorous campaign by activists, the US has lifted sanctions on a number of communications devices, including laptops and smartphones. 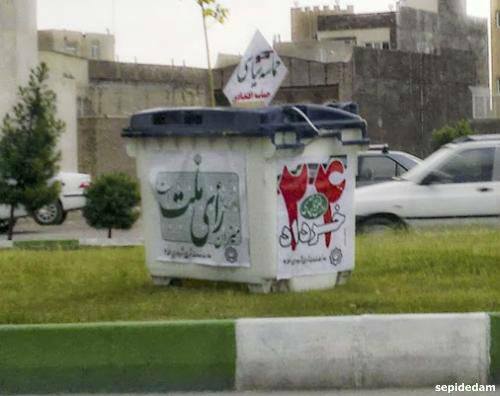 The city of Qom urges you to vote.